Homemade garlic & basil pickles! Pickles just scream summer to me! 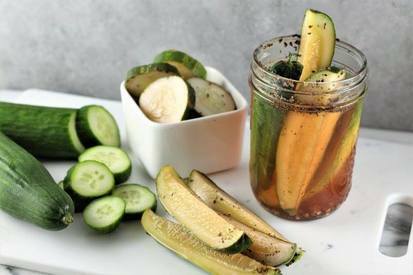 Especially homemade garlic pickles! OMG, my mouth is watering just mentioning this recipe! Mary Ellen Phipps on the Stone Soup blog has come up with a delicious and tart recipe to die for!